Dance involves various bodily movements with different postures and enjoyed the most by the viewers. It is a form through which the inner-most feelings are expressed. The various dance forms are a part of art and culture of a society and these reflect the civilization and rich cultural heritage of the nation. Dance forms of India are as old as the Indus Valley civilization and these find their roots in the Natya Sastra which is authored by Bharata Muni who is considered as the father of Indian performing arts. The Indian dance is connected to mythology and it is believed that Lord Shiva himself is a great dancer who is also known by the name Nataraj which literally means The King of Dancers. It is believed that Lord Shiva performs dance when He is in a too happy mood and also when He become too furious (Roudram). 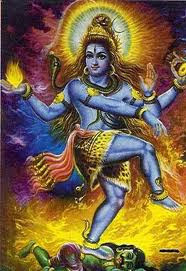 His dance is known by the name Shiva Tandavam. Besides Lord Shiva, even Lord Ganesha is believed to be a good dancer and such a form of Ganesha is known by the name Natya Ganapati. The dances of India believed to have their origin in the temples where the temple dancers known as Devadasis used to perform dance depicting the mythological sequences. Kuchipudi is the classical dance form of Andhra Pradesh. The dance form got its name after a small village named Kuchipudi in the Krishna District. The village derived its name from 'Kuchelapuram' where the resident Telugu Brahmins were practicing the traditional Bhagatwata Mela Natakam which later transformed into classical Kuchipudi dance. The ancient dance form was revived by a gifted teacher named Siddhendra Yogi who formulated a syllabus and discipline to the dance. 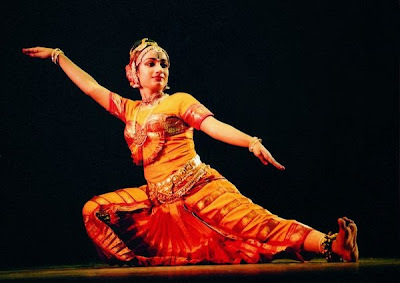 Kuchipudi is a unique dance style which is complete in itself with the Nritta, Nritya and Natya. Though in the past the themes were based on epics, legends and mythological tales, the dance forms in the present days are based on social themes as well. Fast and rhythmic tap with the feet along with the sculpture-like body movements are the main techniques of the dance which became more popular with the introduction of dancing with the feet on the rim of a brass plate known as Tarangam. The other solo dance items of Kuchipudi include Puja, Jatiswaram, Sabdham, Tarangam, Keertana and Thillana. Bhama Kalapam is one of the themes which gained much popularity. The dance is accompanied with Carnatic classical music and the instruments used are Veena, Mridangam, Flute, Violin and Manjira (small hand cymbals). Dr. Vempati Chinna Satyam, Vendantam Satyanarayana Sarma, Raja Reddy and Radha Reddy and Pasumarthi Sarma are some of the renowned Kuchipudi dancers of Andhra Pradesh. As the name indicates, Odissi dance has its origin in the Indian state of Odisha. Like the other classical dance forms of India, Odissi dance too had its setbacks in the past which was later on revived and brought to lime light by the renowned dancers like Sri Kelucharan Mahapatra. This classical dance includes Nritta and Abhinaya. Nritta is non-representation which includes the unique way of creating ornamental patterns using artistic body movements. While Abhinaya includes the facial expressions by the dancers to interpret the theme. The uniqueness of the dance form lies in its technical use of 'Tribhanga' in which the body is artfully bent in three different places - head, bust and torso with mudras and abhinaya. Harmonium, tabla, flute, cymbals and pakhawaj (a percussion instrument which resembles Mridangam) are the instrument used for music in accompaniment with the dance. Mostly the background songs for the various themes of dance are based on the 'ashtapadis' verses of Geet Govinda - the famous compositions of Bhakta Jayadev who was a great devotee of Lord Jagannath of Puri. The temple walls at Konark Sun Temple, Lingaraj temple at Bhubaneswar and Jagannath temple are richly sculpted with different dance poses of Odissi. 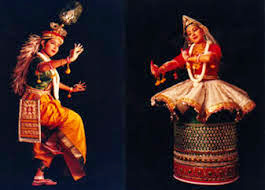 In the 'Natya Sastra', Odissi dance is mentioned by the name 'Odramagadi' which is one of the ancient names of Odisha other than 'Kalinga' and 'Utkal'. The dance includes Pallavi, Mangalacharan, Sthai or Batu, Abhinaya and Moksha. Kelucharan Mahapatro, Sanjukta Panigrahi, Sonal Mansingh, Madhavi Mudgal, KumkumMohanty and Debprasad Das are some of the prominent Odissi dancers. Bharatanatyam, as the name indicates, is one of the most popular classical dance forms of India which has its origin in the temples and courts of South India has been included in the performing arts in the 19th century. The dance was performed in the temple premises by the Devadasis - the women who were fully dedicated to temples to serve the God as dancers. Later on as a part of social change, this dance form has been brought out of the temple premises and was started as a performing art on stage by the dancers E.Krishna Iyer and Rukmini Devi Arundale. Mostly mythological stories and characters were chosen for this performing art and in the recent past the renowned Bharatnatyam dancers started performing dances on various social themes as well. Presently, the performing art that we see on the stage is mostly based on the musical compositions of the four brothers from Tanjore who were great nattuwanars (dance teachers) popularly known by the name Tanjore Quartet. The dance is one of the most popular dance forms of India which has its origin in Tamil Nadu and is performed both by male and female dancers. The flexible yet balanced body movements and postures in accompaniment with the rhythmic beats of Nattuvangam make this a high level dance form. The dance is accompanied with Carnatic Classical music and the traditional musical instruments like Mridangam, Violin, Veena, Flute, Talam and Ghatam are used for this performing art. Rukmini Devi Arundale, Padma Subramanyam, Yamini Krishnamurty, Mallika Sarabhai and Bala Saraswati are some of the popular dancers of Bharatnatyam. Kathakali is a theater form of dance style in an elaborate manner which mostly depicts the victory of truth over falsehood. This is one of the oldest theater forms in the world which has its origin in the Indian state of Kerala. Mostly the dance is presented in a group based on Hindu mythology, especially the two great epics of Mahabharata and Ramayana. The striking feature of the dance is the use of colorful costumes and elaborate facial make-up which takes almost 3-4 hours to complete. The make-up and facial colors is based on the character played by the dancer. If a dancers plays the role of a noble character like Lord Rama, the face is colored in green. When it is a demonic character, then the face is colored in green with red marks on the cheeks. Aggressive / highly demonic characters have red make-up with a red flowing beard. The striking features of the costume is colorful facial make-up extended with moulded lime. In addition to the colorful facial make-up, the dancers are heavily dressed in colorful voluminous costume. The extraordinary costumes of the dancers, the technical hand gestures and the vibrant drum beats take the audience to a different world of wonders. Traditionally, the dance performance begins in the evening and continues through the night. Kalamandalam Gopi, Kottakal Sivaraman and Kalamandalam Raman Kutty Nair are few of the renowned Kathakali dancers. Kathak is the classical dance style originated in Uttar Pradesh. This ancient dance was performed by the story tellers or 'kathaks' in the village squares and temple courtyards. Mostly the Kathak dance is themed on mythological stories and moral stories from the ancient Hindu scriptures. The stories are depicted with beautiful hand gestures and facial expressions of the dancers. The dance is accompanied with Hindustani Classical music while the dancers rhythmically and lightly tap their feet to the fast beats of tabla or pakhawaj. Originally the dances were themed on the stories of Radha and Lord Krishna but during the Mughal invasion in the medieval times, the dance transformed into a sophisticated chamber / court dance. 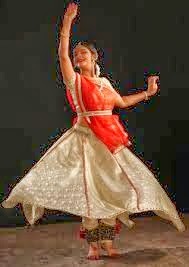 Lucknow and Banaras (Varanasi) in Uttar Pradesh and Jaipur in Rajasthan are the three popular dance schools or 'gharanas' of Kathak dance where this performing was born and is refined to higher standards. Harmonium, Tabla (Pakhawaj), Cymbals, Sitar and Sarang are the instruments used by the musicians in accompaniment with the dance. Manipuri is one of the beautiful classical dance forms of India which is originated in Manipur - the North Eastern state in the hilly region. The dance was known by the name 'Jogai' in the ancient times which literally means circular movements. Sankeertana and Ras Leela are the important features of the dance that are based on the devotional love of Radha, Gopikas (the cowherd maidens) and Lord Krishna. In the 11th century CE, prince Khamba of the Khomal dynasty and princess Thaibi of Mairang dynasty enacted the dance during the reign of Raja Loyamba. And the dance was known by the name Lai Haraoba during those days which depicted the Creation. The dance style underwent some transformations in the modern times and came to be known as Manipuri dance which became popular as a performing art. Costume is a striking feature of the dance in which the dancers wear attractive embroidered long drum like skirts from the waists and with a beautiful veil. The costume of Lord Krishna has a tall crown with peacock feathers and when the performs sway and swirl, the performance appears radiant. Pung Cholam or drum dance is a vibrant dance item of Manipuri in which the performers dance on the Pung (drum) taking thrilling leaps and turns to the fast rhythmic beat. Pung (drums) and cymbals the musical instruments mainly used for the dance. Mohini attam / Mohiniyattam which literally means 'The dance of the Enchantress', is the classical dance form of Kerala. True to its name, the dance has the quality of mesmerizing particularly the costume which is a white traditional Kasavu sari of Kerala with golden border and the typical way of side knotting of the hair like a French bun on the side with white jasmine flowers round the knot. Though there is a mention of the dance in the 18th century texts, it was revived during the reign of Maharaja Swati Tirunal of the 19th century CE who was a great patron of arts. During his rule, the dance developed into a solo performance in the accompaniment of Carnatic music. In the recent past, poet Vallathol established the Kerala Kalamandalam in view of promoting the performing arts of Mohini Attam and Kathakali. The dance form of Mohiniyattam resembles Bharatanatyam as Mohini Attam too was performed as a temple dance performed by the Devadasis in the ancient times. The dance was mostly themed on female love and devotion to god particularly to Lord Krishna and Lord Vishnu. The dance is characterized by the swaying / circular movements of the upper part of the body with delicate footsteps and expressive eye movements. Cholkettu, Padavarnam and Padam, Mudras and facial expressions are the important items of the dance. While the basic steps of the dance called Adavus are of four kinds viz. Taganam, Jaganam, Dhaganam and Sammisram. The romantic padams are written to present the Ashta Nayikas viz. Swadheena Bharthruka, Khanditha, Abhisarika, Vipralabdha, Kalahandtharitha, Vasakasajja, Proshithabharthruka and Viraholkhanditha. Chenda, Maddalam, Cymbals, Ela Taalam , Veena, Flute (venu) and Idakka are the musical instruments used for the dance.